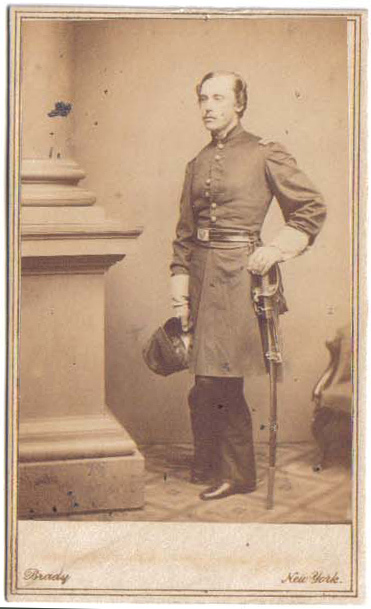 The son of former Congressman Osmyn Baker, he was commissioned 2nd - then 1st Lieutenant in the Regular Army, 4th US Artillery, on 5 August 1861. Killed in action by artillery fire at Antietam on 17 September. Basic service data from Heitman1, with additional information from his gravestone found on Find A Grave. The photo here is from a CDV kindly provided by Vern DeLong. A coastal defense battery at Ft. Totten, NY was named for him in 1903 (via FortWiki). It was active until 1945.